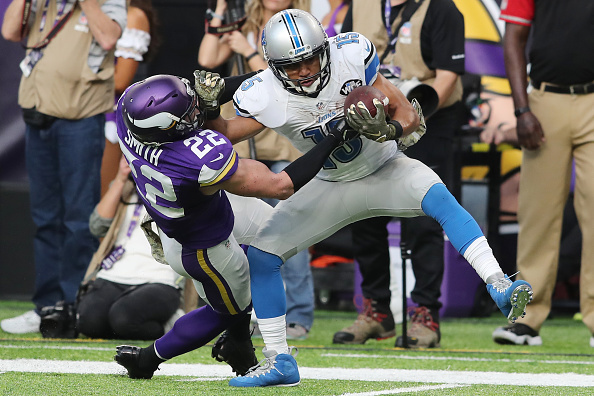 Matthew Stafford threw a 28-yard touchdown pass to Golden Tate, who vaulted into the end zone in overtime to give the Lions a 22-16 victory over the Vikings on Sunday. 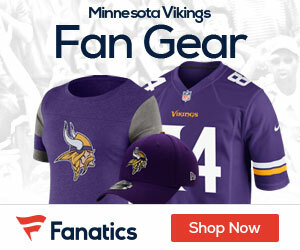 After Matt Prater kicked a 58-yard field goal as time expired to force overtime, Tate finished the opening drive when he ran through arm tackles by Xavier Rhodes and Harrison Smith and leaped in for the winning score. Stafford completed 23 of 36 passes for 219 yards, two touchdowns and an interception for the Lions (5-4), who have won four of their past five games. Tate had 11 catches for 79 yards. Sam Bradford completed 31 of 40 passes for 273 yards and a touchdown for the Vikings (5-3), who started the season 5-0 but have imploded since coming out of the bye. Stefon Diggs had a career-high 13 catches for 80 yards.